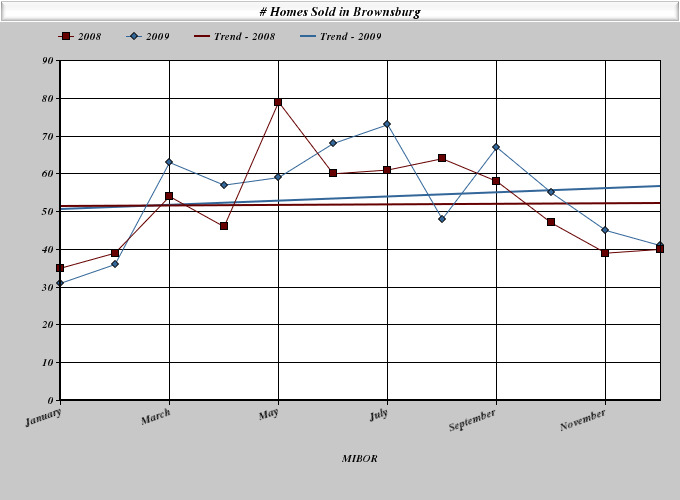 Home Sales in Brownsburg for December 2009 were fairly equal to the number of homes sold in Brownsburg in November, however, the price point was a bit higher. Last month there were 41 sales for an average of $163,012, compared to November's 45 sales and an average prive point of $151,783. Averages don't really mean a whole lot except when studied over a long period of time. When we factor in short sales or bank owned properties in a specific area, averages tend to skew the whole. There were 10 distressed properties sold in Brownsburg in December; almost 25% of the sales. Distressed properties are homes which sold either through short sale or as a bank owned home. 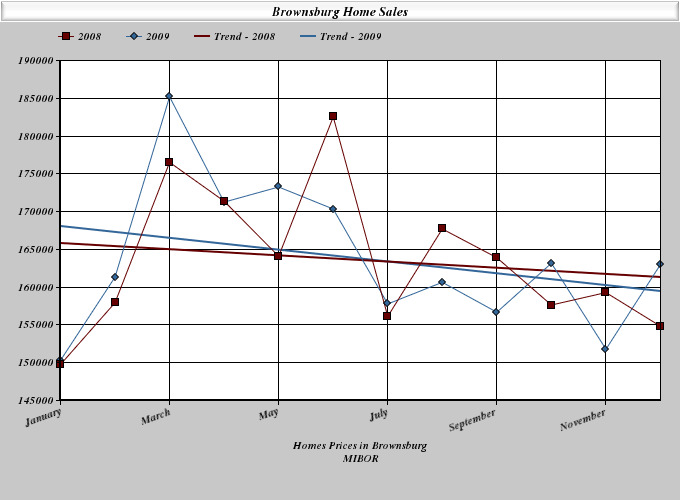 Comparing 2008 home sales in Brownsburg to 2009, we see the trend for average home price has dropped while the number of homes sold is trending up. As short sales and bank owned home sales continue to affect the real estate market, we will see some up and down trends thorughout the year. These are useful stats. The overall trend for 2009 looks better than that for 2008. Not proof that the market as turned but encouraging none the less. Good luck for 2010!